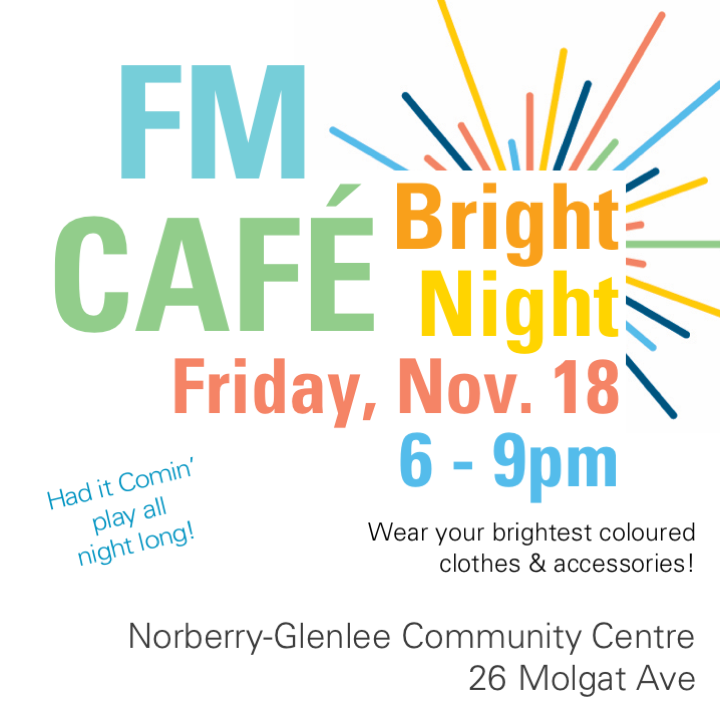 This Friday’s FM CAFÉ is heading out to Norberry-Glenlee Community Centre for Bright Night! Wear your brightest coloured clothes and accessories, we want to fill that room with the colour and positivity that best represents our FM Café spirit. Fan favourites, Had it Comin’, will play all night long. The venue is wheelchair accessible and will have concessions. Contact Lauren if you would like to volunteer or have any questions. 204-256-4301 ext. 3368, lcheckley@stamant.ca.